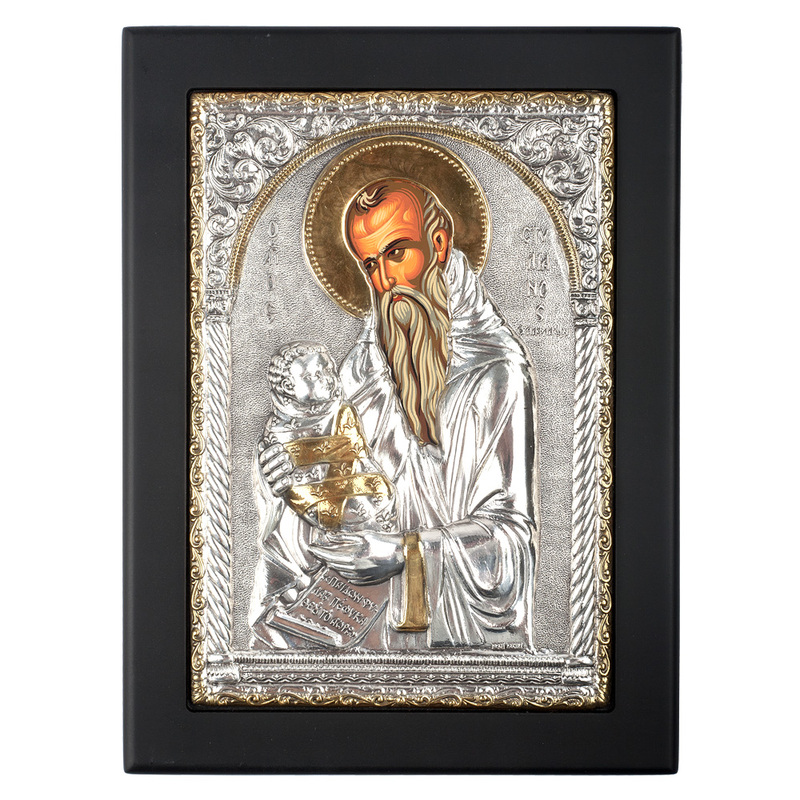 Each beautiful Clarté Icon is made in Greece, often with the intention of being an exact replica of a Byzantine hagiography icon and therefore a significant Greek Orthodox symbol. These precious pieces plated in silver, while the faces of the saints, the Virgin Mary and Christ have been painted with meticulous detail by hand according to ancient Byzantine icons. Silver plated with 24 karat gold accents. Icon is set into a wooden backing with a hook on the back for hanging. Presented in a blue Clarté box.